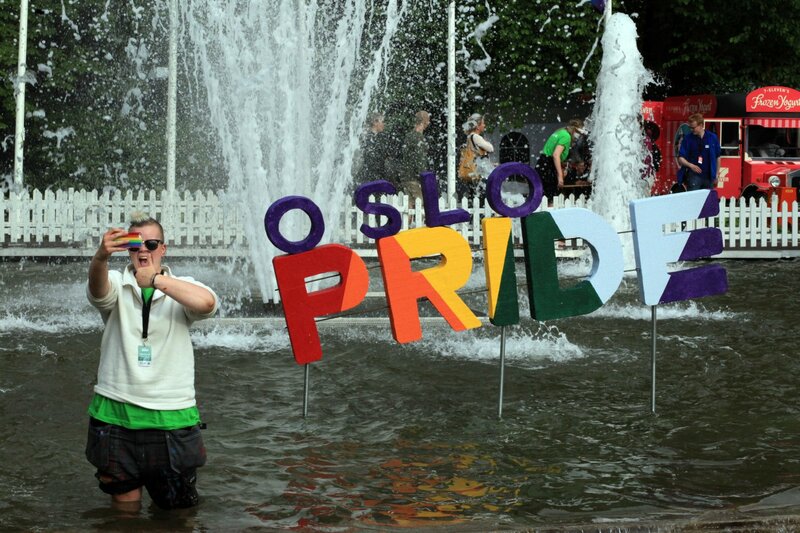 PRIDE COMES TO A CLOSE – Oslo Rocks! The Oslo Pride Parade broke its own record Saturday with 104 organizations, an increase of 34 from the previous record. 30,000-plus individuals participated in the march, and another 30,000-plus lined the streets of downtown Oslo, according to the newspaper Dagbladat. The 2016 Oslo Pride Festival theme was solidarity, and organizers recognized the pain Americans have been feeling since Orlando across Norwegian media. The 10-day festival celebrating the LGBT communities of the world ended on Sunday after hosting nearly 200 individual events. An evening ‘Rainbow Mass’ closed the ceremony on Sunday and was held at the Oslo Cathedral, which belongs to the Lutheran denomination Church of Norway. The main attraction, the parade, included floats by all Norwegian political parties, the military, the police, labor and trade unions, advocacy organizations, religious organizations, and corporate sponsors. Three gay couples were married on a float sponsored by 7/11 and the Oslo Fagottkor entertained the crowd in their pink sailor costumes. Black armbands were worn in honor of the Orlando victims. It was a day full of love and acceptance as the parade marched two kilometers from the largely immigrant community of Gronland to the ad hoc Pride Park built in the shadows of the Royal Palace. Important political topics were discussed by panels at Pride House, the Eldorado Book Store, in front of crowds eager for progress and change, both in and outside the LGBT community. Robert Biedron, the first openly gay elected politician from Eastern Europe, drew an energetic audience early on in the Pride festivities as he discussed his transition from gay activist to elected official. Pride Park hosted free events from Tuesday through Sunday, including cook-outs, concerts like Swedish rapper Silvana Imam, and drag shows. The park was equipped with over 100 informational booths, shops, bars and food vendors. The park was completely built and torn down by volunteers.